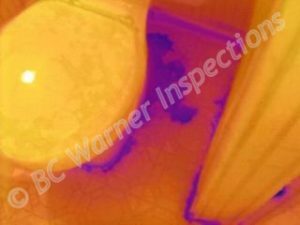 Moisture surveys are designed to assist the Dayton area homeowner in identifying water intrusion and moisture issues within the Home. 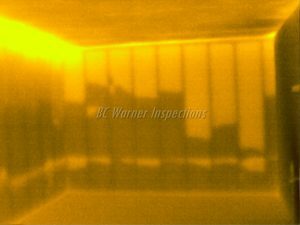 Using infrared camera technology can help identify areas not seen through visual inspection. Moisture is the enemy inside a home and will create conducive conditions for rapid mold growth as well as wood destroying insect activity. Areas and rooms inside a home should be maintained at 40% relative humidity throughout. 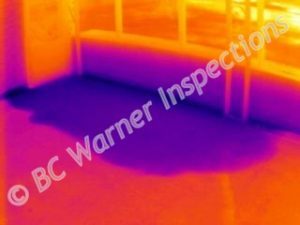 Higher levels of relative humidity may be identified through infrared technology as condensation and moisture issues. Sudden and unidentified musty odors may be a result of water intrusion or moisture issues within wall cavities. 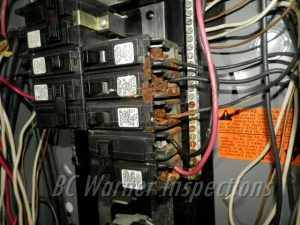 Until now the only way to identify these hidden issues was to remove interior finished walls for further investigation or make guesses about where the water was coming from and how to correct it. Now infrared technology can help to identify these problems without being destructive or invasive. This survey will include evaluation of areas of the home to determine the presence and source of moisture. The results will be documented in the moisture survey report and accompanied by both standard digital photos and infrared images. 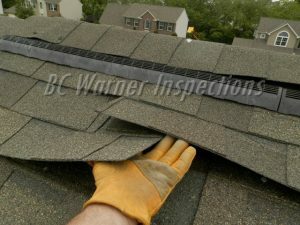 Certain conditions within the home must be obtained in order to provide a thorough moisture survey. 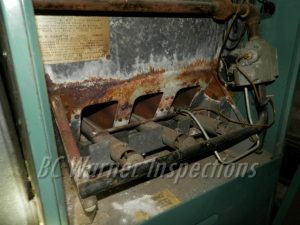 These conditions will be discussed with clients upon scheduling a moisture survey with BC Warner home inspections. With the results of a moisture survey in hand, the homeowner will be able to correct the issues and repair the affected areas by knowing what items or areas to address within the home. This knowledge will prove invaluable in protecting your home and health. Please contact us for more information about moisture surveys or to schedule your moisture survey today.